London Irish have signed South Africa lock Franco van der Merwe following his release by Cardiff Blues. 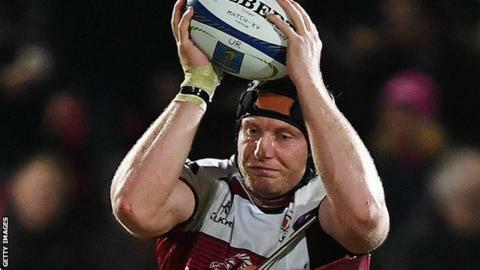 The 34-year-old failed to make an appearance for the Welsh region and was deemed surplus to requirements after agreeing a move from fellow Pro14 side Ulster in January. He played Super Rugby with South African sides the Lions and Sharks and was capped against New Zealand in 2013. "I'm really happy to be here at London Irish," said van der Merwe. "It's a club that has big ambitions and my main focus is to work extremely hard to put myself in contention for selection. I can't wait to pull on the London Irish jersey in the Aviva Premiership." Irish start their 2017-18 Premiership season against Harlequins at Twickenham on Saturday.